Welcome to the Summer Place vacation rentals in Fort Walton Florida. If you are looking to enjoy the beautiful views of the emerald green waters of the Gulf on a sugar white beach, this is the place for you. Every unit at Summer Place offers a private balcony with a spectacular Gulf view. Some amenities include 2 sparkling Gulf front pools, a hot tub and a fitness center. The property also offers a grilling area that is perfect for family cook outs, secure gated parking, and seasonal beach service! Each condo comes equipped with washers and dryers, cable TV, and high speed wireless internet service. If you are looking to eat out do not worry, there is several great restaurants in the area. Some of the local favorites include The Crab Trap at The Boardwalk, Burrito del Sol, and Fudpucker’s Beachside Bar & Grill. 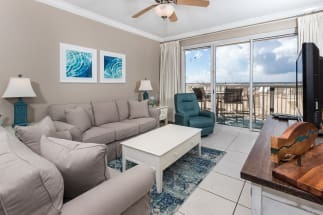 The convenient location of this complex makes it easy to walk over to the fishing pier or Gulfarium Marine Adventure Park as well as other local attractions and shops. Summer Place is one of the newer complexes on Okaloosa Island! Contact one of our property owners directly by hitting the EMAIL OWNER button found on each listing and they will gladly help you plan your stay on Okaloosa Island. When you book with ECBYO we do not charge any of the booking fees that other listing sites have! Book online today with Emerald Coast by Owner and save!